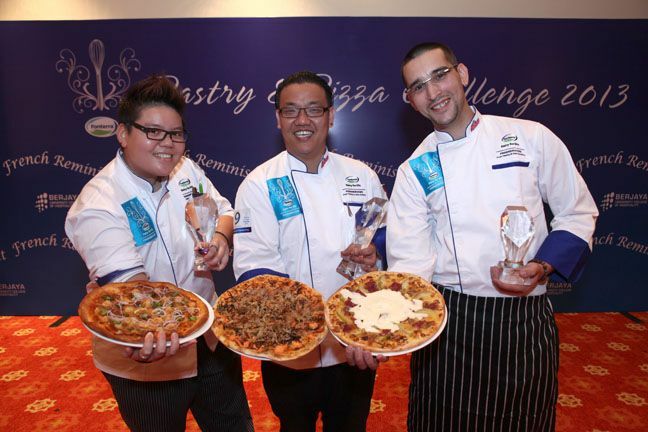 Fonterra Pastry and Pizza Challenge returned with much panache this year with 19 finalists armed with their fighting tongs and battle spatulas serving up outstanding pizzas and decadent cakes. 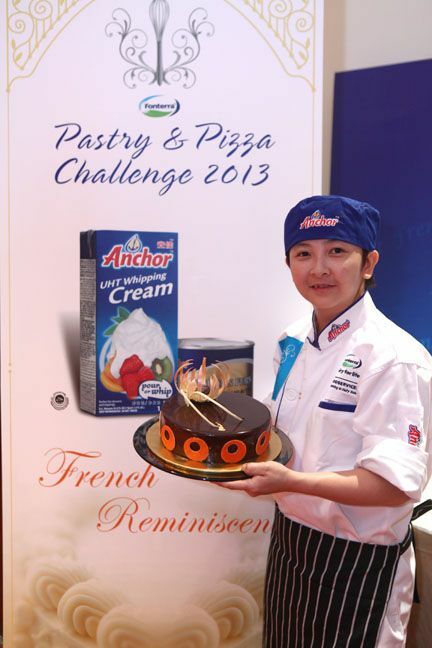 Fonterra Foodservices upped the ante on the challenge this year and went haute with the theme “French Reminiscent”. Piece of cake? Hardly. The 19 finalists were whittled down from close to 60 entries during the first round. The final culinary confrontation was certainly not for the faint hearted or amateurs – it was an avant-garde showmanship of skill, creativity and originality. 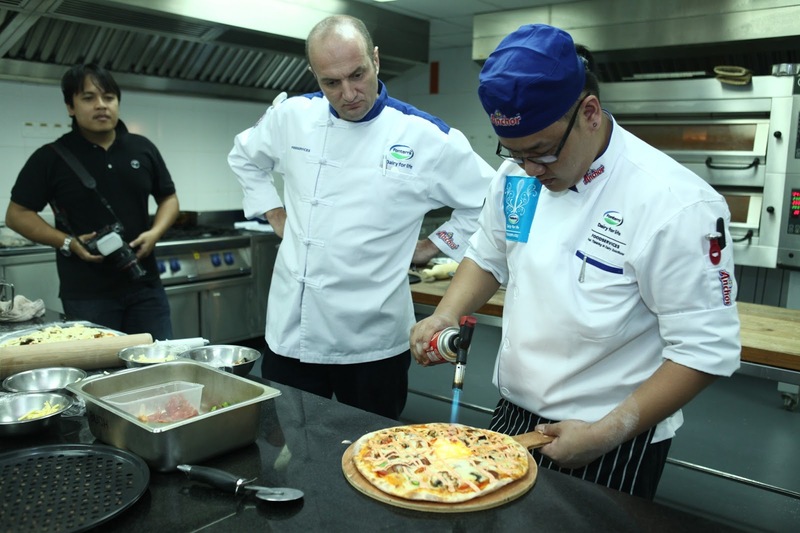 Chefs from renowned hotels, restaurants and cafes pushed the limits and boundaries of culinary perfection in the two-day challenge organised for the third time by Fonterra Foodservices Malaysia. 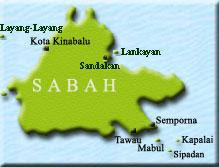 For these finalists there was more at stake than the whopping RM25,000 in cash and prize value - this was a matter of reputation and peer recognition. One of the contestants in the pastry category creating a beautiful sugar artpiece to be displayed alongside his cake creation. Competition was clearly tough! The talented chefs had to impress the formidable panel of judges led by Chef Jochen Kern, Head of School of Culinary Arts, Berjaya University College of Hospitality, a towering figure in the culinary front along with Chef Kasdi, former Group Executive Chef of Delicious Group Sdn Bhd and now in his own business as a restauranteur and Chef Francois Giussani, Executive Chef at The Everly Putrajaya who judged the pizza category. 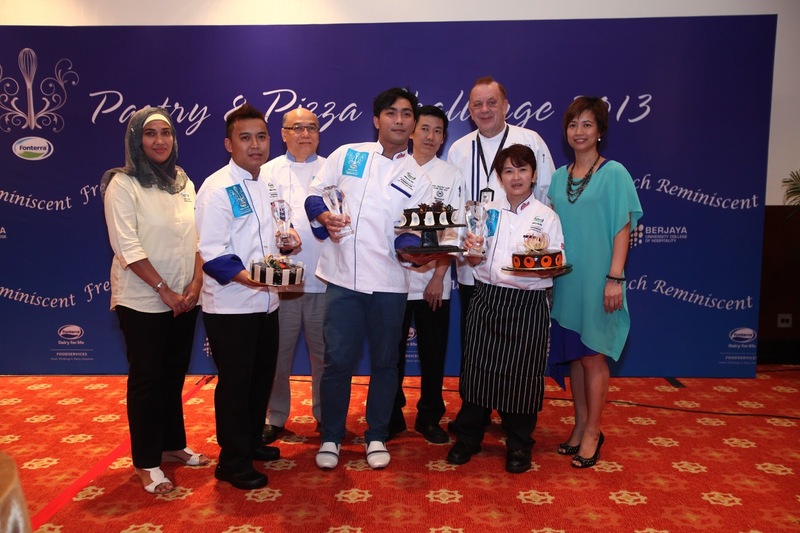 For the pastry category the panels of judges were equally formidable with Chef Jochen Kern again, Chef Arthur Heng, the Executive Chef of Concorde Hotel, and Chef Chan Eng Hua, Executive Pastry Chef at Sheraton Kuala Lumpur. Together, they tasted and tested each creation in the cake category for flavour, originality, creativity and presentation. Tossing his way to top spot this year at the Pizza Challenge was Candy Han @ Han Eee Yang from Movida Terrace @ Scott Garden who wowed the chefs with his delicious and original creation – Unagi Mentai Pizza. 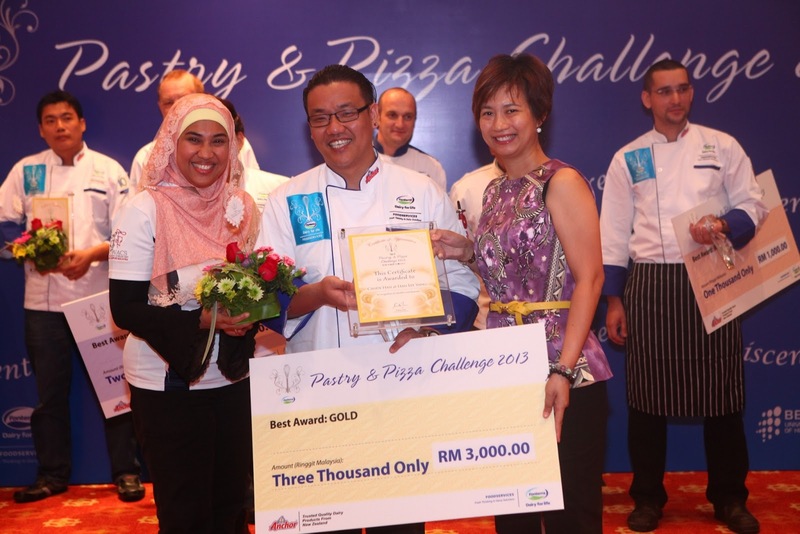 Candy won the Gold Award walking away with RM3,000 in cash prize, while Sandy Ong Chen Sim from Hotel Park Royal was a close second, winning the Silver Award of RM2,000 in cash prize with her creation Panggang Sauce Seafood Pizza. Bronze Award winner Aleksander Salujic from Australia Foods Company impressed the judges with his original creation combining walnut, apples, cheese and a special sauce with his pizza simply called Aussie taking home RM1,000 cash. “I knew the competition was going to be tough, but I had full confidence in the Unagi fusion combination as it has been a sure winner each time I prepared it for family and friends. I gave it a gourmet twist and I must say that it feels so good to be validated by the best in the industry!”, said an elated Candy. Petite pastry chef Tan Kwee Lian from G-Hotel Penang took the cake at the Pastry Challenge with her amazing and decadent creation Chocolate Entrapment and won the Gold Award of RM3,000. 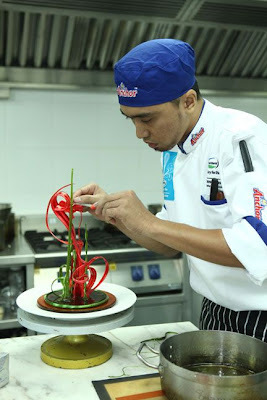 The cherry on top was the additional prize of an exclusive three-day culinary training under Jean Francois Arnaud, sponsored by HTC Asia. The cake was multi-layered with a beautiful textured taste with a combination of silky smooth chocolate mousse, crumble, and delicious ganache. This was a recipe she tested many times over before getting it right. “I am super excited to get the Gold Award, and this is my first, so it was a little unexpected. Mostly it was fantastic to be exposed to techniques and skills of some of the best in the industry and I hope I have learned some essential tricks of the trade that will help catapult me to the next level in culinary arts”, said Kwee Lian. 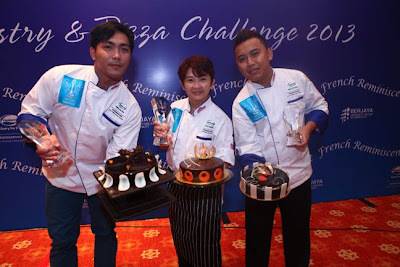 Kok Wei Chun from Happy Angel’s Cake House won the silver award of RM2,000 with Opera Gateau while Mohd Zulkhairul Nizam Bin Yacob from Sutera Harbour Resort walked home with RM1,000 as the Bronze Award winner with his/her creation Ezech Gateaux. As a measure to ensure top-quality products used across all the recipes, Fonterra Foodservices mandated the use of Anchor products in all the new recipes. Anchor is currently a leading player in the foodservices market with its finest quality dairy cream, cheese, butter and milk. 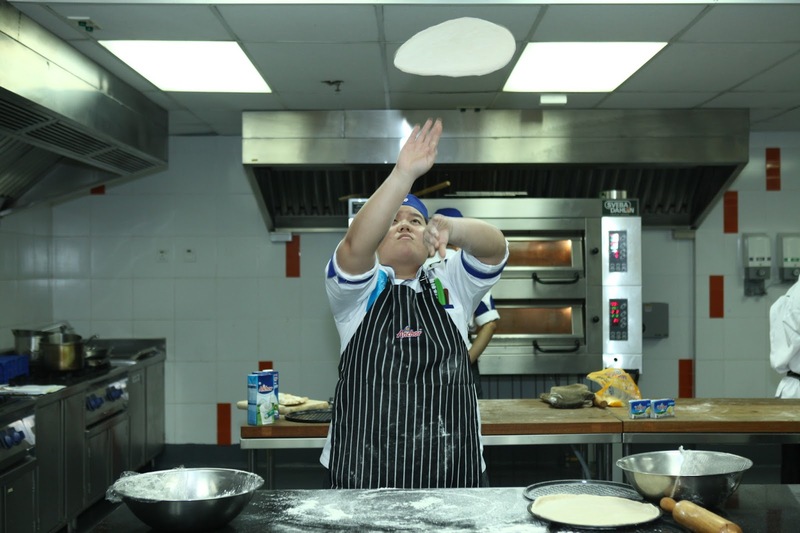 The contestants had a chance to experience first-hand the versatility of the Anchor products such as Anchor Extra Stretch Mozzarella for the Pizza challenge, and Golden Fern Butter for the pastry Challenge. Anchor dairy products have also been the preferred choice of bakers, caterers, commercial kitchens, hotels, restaurants, chefs, quick-service restaurants and cafes in Malaysia. An integral component of Fonterra – the world’s largest exporter of dairy products, Fonterra Foodservices is the leading provider of the widest range of dairy products and ingredients tailored to meet the needs of professional food service operators in over 70 countries around the world. The Fresh Thinking in Dairy Solutions approach has led to a suite of innovative products such as ready-to-serve creams, ready-to-serve beverages, butter, yoghurt, milk, cheese and bakery goods that best deliver superior taste, nutrition and cost efficiency to create the ultimate dining experience. Fonterra Foodservices’ clientele today include hotels, restaurants, cafes, bakeries, commercial and institutional catering as well as manufacturing. Fonterra Foodservices is also recognized for its high quality practices throughout the entire production process - from source of supply to the consumer. The company’s dedication to quality is validated by the standard management system, which embraces a comprehensive range of monitoring and audit processes, including ISO9000 independent certification, audits by regulatory agencies and major customers as well as its own internal audit procedures. 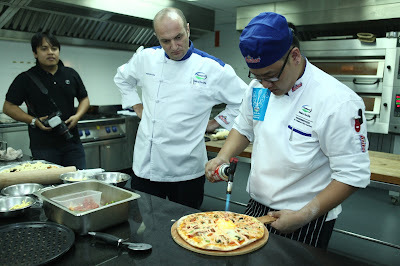 In Malaysia, Fonterra Foodservices is a market leader in the local foodservices industry. 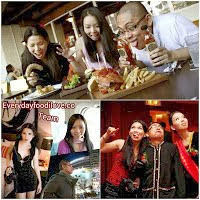 It is the largest dairy products and ingredients supplier to the local bakery and casual dining channels. Butter, cheese and UHT creams are amongst its top selling products. All of Fonterra Foodservices' dairy products here in Malaysia are Halal certified by both the Department of Islamic Development Malaysia (JAKIM) and the New Zealand the Islamic Meat Management & New Zealand Islamic Processed Food Management. Leading brands under Fonterra Foodservices include Anchor, Mainland and Perfect Italiano.